"Citrawarna Malaysia," "Colours and Flavours of Malaysia" is showcasing the country's kaleidoscope of arts, culture and traditions that will be held nationwide from July 8 to July 30, 2006, said Ms. 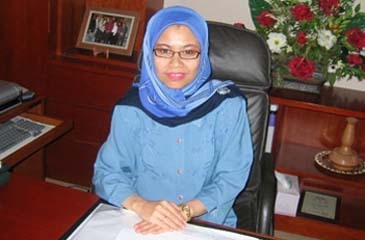 Nor Hayati Zainuddin, deputy director of Malaysia Tourism Promotion Board in Seoul recently. She said Themed "Colours and Flavours of Malaysia," it will be launched on July 8 at Dataran Merdeka by His Majesty The King of Malaysia, Seri Paduka Baginda Yang Di Pertuan Agong Tuanku Syed Sirajuddin Ibni Al-Marhum Tuanku Syed Putra Jamalullail. As for the preparation for the festival in South Korea, she said she plans to highlight the event in Korean newspapers and Tourism Malaysia Seoul website (www.mtpb.co.kr) so that many Korean will know about this event. "We hope many Korean will come to Malaysia especially during this event because there are many activities such as a parade, concert by Malaysian singers, food and cultural performances and many exciting activities awaiting tourists from Korea," she said. "Colours and Flavours of Malaysia" is a fun time to be in Malaysia. This enthralling event showcases the best of Malaysian culture, craft and cuisine over an entire month. Delight in the colorful parades, dance and music performances; savor the array of mouth-watering local delicacies at food festivals and visit the exquisite cultural exhibitions held nationwide. The main highlight of the launch is the 1.5km song-and-dance street parade by some 4,000 dancers representing the Malaysian states and federal territories. The parade will begin at Dataran Merdeka, then wind its way through Jalan Raja Laut, Jalan Semarang, Jalan Tuanku Abdul Rahman and back to Dataran Merdeka. The public can catch the parade and cultural performances at two other venues besides Dataran Merdeka – in front of the PKNS building, Jalan Raja Laut, and in front of Noble Hotel, Jalan Tuanku Abdul Rahman. Festivities on the day will begin at 6 p.m. with a two-hour pre-show concert by popular Malaysian singers such as Sheila Majid, Jaclyn Victor, Amy Mastura, and Adibah Noor. The pre-show concerts are staged in front of the PKNS building in Jalan Raja Laut and Laman Seni, Jalan Tuanku Abdul Rahman. Another exciting event scheduled for the day is "The Citrawarna Walk-A-Hunt competition," a treasure hunt on foot, opened to 30 lucky pairs of radio listeners of Sinar FM. To participate, the public is advised to tune in to Sinar FM ( 96.7) for further details. 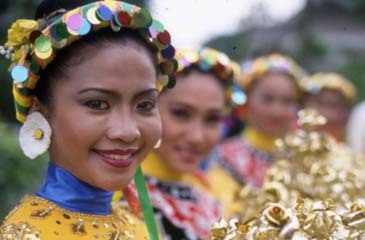 Prizes include attractive holiday packages around Malaysia and hotel food vouchers. "Colours and Flavours of Malaysia" celebrations are also being held throughout the month at various locations nationwide. They include food and culture promotions at hotels, pocket shows at a shopping center in Kuala Lumpur, and various cultural events in other states. To make the "Colours and Flavours of Malaysia" event even more successful, a fam (familiarization) tour is planned for South Korean journalists, according to Ms. Zainuddin. "This fam tour is to give Korean journalists information on this event as well as to give them experience on the arts, culture, food and traditions of Malaysian people," said Ms. Zainuddin. "We have planned a fam tour every month on major events such as Malaysia International Media Hunt, Malaysia F1 Grand Prix, Malaysia Mega Sales Carnival, Malaysia Open House, etc.," she said. "Come and experience what Malaysia can proudly offer to you," the deputy director said.